Homemade soup is always the best cure for a long day at work and feeling under the weather. 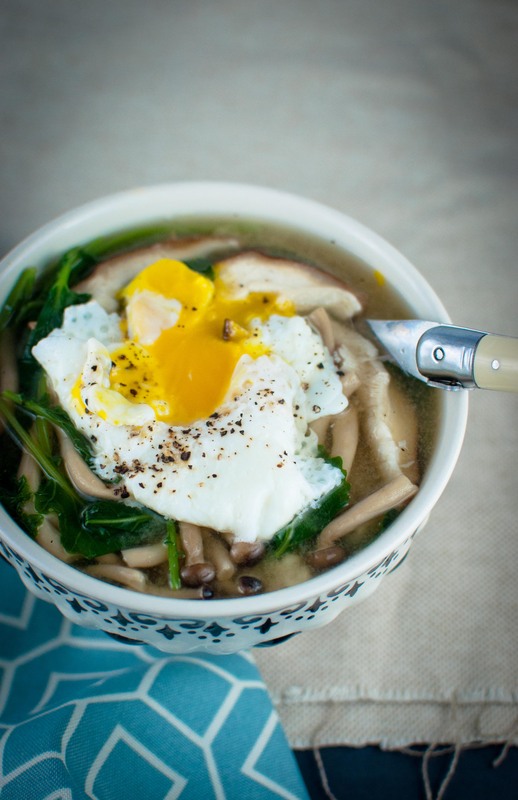 I love using miso as the base and adding a hearty green like baby kale leaves and brown beech and shiitake mushroom. Leftover brown rice made the soup more filling and there’s always a place for a poached egg in my book.